The fine folks at Juniper Books believe that “your books should tell a story.” As in, when you line up volumes on your shelf they should promote your love of books and passion for reading. 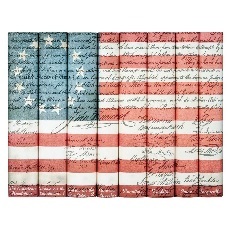 Juniper makes a series of book collections that when put together on a shelf display a cohesive image, like the Historical Documents set that when put together on a shelf displays a Colonial era American flag (right). Juniper has some really cool collections – and can make a custom collection as well. I am thinking about how cool Juniper’s Adventure Set would look on my shelves. 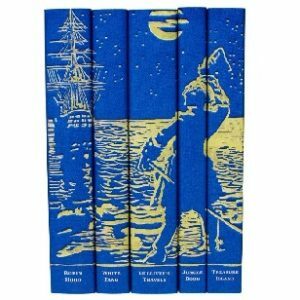 The set includes several books I read as a boy, like Robin Hood by Roger Green, White Fang by Jack London, and Treasure Island by Robert Louis Stevenson. See all the cool collections from Juniper Books here. Life is way too short to settle for boring everyday drawer pulls or cabinet knobs. That’s where the fine folks at P.E. Guerin come in with their line of awesome furniture hardware. I guarantee that P.E. 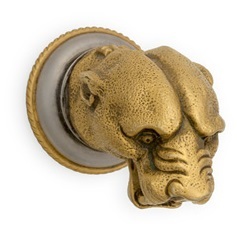 Guerin’s Jaguar Cabinet Knob (right) is cooler than anything you have on your cabinets or drawers. As cool as the products they make is P.E. Guerin’s history – they have been making decorative hardware in New York for more than 150 years. Learn more about P.E. Guerin and see all their product lines here. The fine folks at DENY Designs are just the type of people I like to highlight. They combine average household furnishings into works of art. Imagine cool artwork printed on pillows and shower curtains as well as a giant poster for a wall. That’s what these guys do and it is awesome. For example, I like the Cool Cat work by artist Ali Gulec (above right). If I choose, I can have DENY Designs create the image on any number of fine products that will allow me to display this cool art in my home. Check out all the options here. 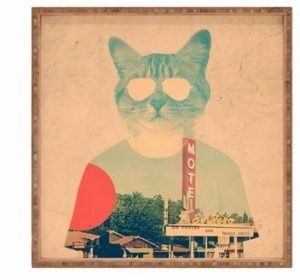 Of course Cool Cats are not everybody’s taste, but there are great works from many different artist to choose from and you are bound to find the perfect match between form and function. Learn more about DENY Designs here. I discovered this fine folks at Felix Doolittle a while back but only now got around to posting about them. The reason it took so long is simple – I love everything about them I couldn’t decide what to feature. So I decided to just jump in and start with their wonderful paperweight collection. 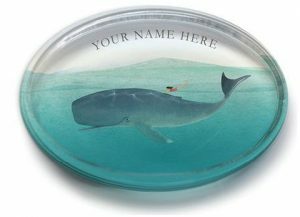 Paperweights may seem old fashioned, but they are really cool and to have a nice one like these from Felix Doolittle, it is like having a little work of art on your desk. See the Paperweight collection from Felix Doolittle here. See all the goodness that is Felix Doolittle here. During this season of plenty and excess, we should take time to note that, sadly, there are hungry kids in America, and we can help feed them by supporting No Kid Hungry. 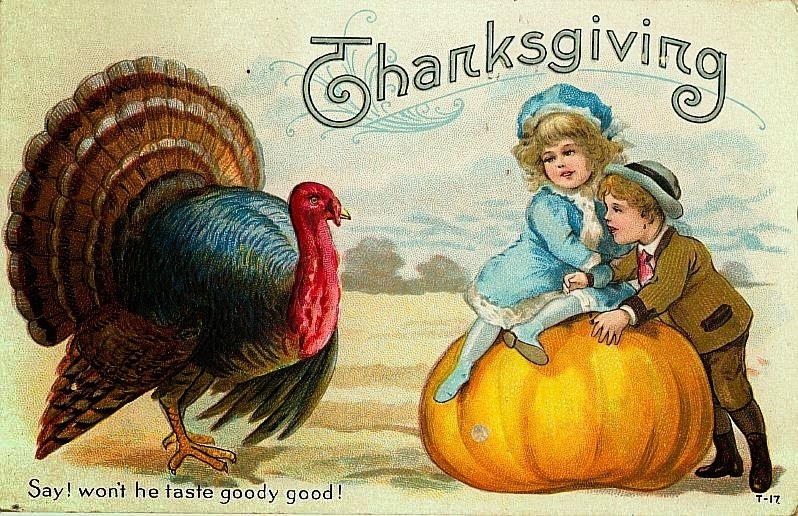 Learn more about the No Kid Hungry Holiday cards here. Learn more about No Kid Hungry and how you can help here. 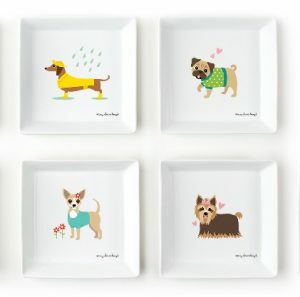 I love the whimsy and variety of the Kennel Club Dog Plate collection I found from the fine folks at Kirby and Company. Find the Kennel Club Dog Plate from Kirby and Company here. See all the great products from Kirby and Company here. I have said it before and I will say it again – I love, love, love the Old Bay Line of Enamelware from the fine folks at Golden Rabbit Enamel. 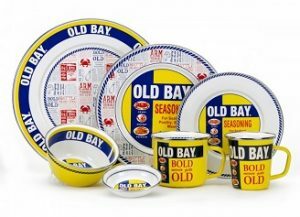 See the Old Bay Enamelware Collection from Golden Rabbit here. Find all of Golden Rabbit’s fine Enamelware here. I defy anybody to pick up today’s Read, flip through it, and not feel pure joy. Yes, that is the effect happy dogs have on people which is captured in stunning detail by photographer Ty Foster in his wonderful book Lick. 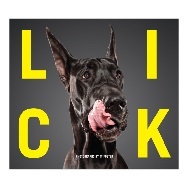 Yes, Lick is exactly what it sounds like, a book full of great photos of dogs licking and it is awesome. This books makes you want to go to a doggie daycare bathed in peanut butter and let the gang go at it. Lick by Ty Foster is available from Amazon and other fine booksellers. The fine folks at Portland, Oregon-based Schoolhouse Electric are truly what we are all about here at Lost Cowboy – people dedicated to creating fine products in the tradition of fine craftsmen from days gone by. 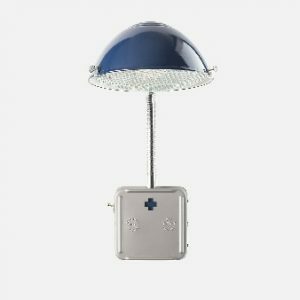 Schoolhouse Electric started with lighting but has expanded to all sorts of really cool products for the home. Learn more about Schoolhouse Electric and see all their fine offerings here. FOUND: The Kansas City Canning Co.
Oh boy I have fallen in love with the fine folks at the Kansas City Canning Co. – purveyors of fine preserved products like jams, marmalades, pickles, relishes and shrubs. Did I mention the shrubs? 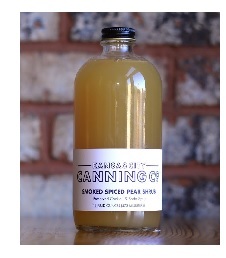 Try the Smoked Spiced Pear Shrub – quite possible the most perfect ingredient for your signature cocktail for autumn. Learn more about the Kansas City Canning Co. and visit their online shop here. Lost Cowboy is powered by	WordPress 5.0.4 and delivered to you in 0.829 seconds using 58 queries.